Icescape @ The Tropicana Coming Soon! Icescape are excited to announce the opening of a brand new festive destination at Weston-super-Mare this winter, called Icescape @ The Tropicana! 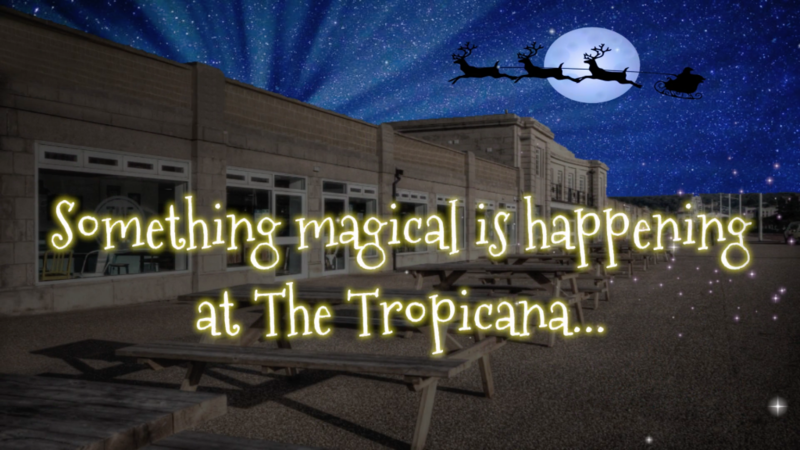 Icescape HQ have been hard at work planning the magical takeover of the Tropicana for the past few weeks, and it’s safe to say – it’s going to look spectacular. Boasting the largest winter covered REAL ice rink in the country, there’s plenty of space for you and your friends to enjoy a skate session, and no matter what the weather is like, you will be covered by a massive marquee (courtesty of our sister company, Danco plc) which will be beautifully decorated with festive lights. The cover will ensure you stay dry, and the ice stays crisp. Complimenting the rink, Icescape are excited to show off our IceDome, which will host an Igloo Bar with Ice tables for you to enjoy a beverage whilst looking out at all of our giant Christmas decorations covering the area. A magical Santa’s grotto will also be close by, where children of all ages can visit Santa Claus himself, (and his helpers of course!). Santa will give out great presents to all the children who visit him. To top it all off, there will be a carousel close-by which will only add to the festive atmosphere at Icescape @ The Tropicana. There will be plenty to do, and plenty to see, so make sure you keep a look out for our announcement on tickets, and make sure to come down and see this magical event unfold! Keep up to date with the latest Icescape @ The Tropicana news on Facebook and Twitter. This entry was posted in Uncategorized on August 4, 2017 by James McMillan. Icescape @ The Tropicana 2018/19 Season round-up! Icescape @ The Tropicana is OPEN! Icescape @ The Tropicana get a BBC Radio Bristol Interview!